Located adjacent to Rostrevor Forest and Kilbroney Park. We are at the very heart of Newry & Mourne with views over Carlingford Lough. We have well over 25 years experience, providing quality professional dog grooming and kennels. Our premises are DAERA fully licensed, modern, heated boarding kennels. All our kennels come with covered outdoor exercise runs. Click the google map logo to the right for an instant map or the 'LOCATION' tab above for more detailed directions. Questions (not bookings) regarding kennelling can be made by email or preferably text. Grooming / Dog washing bookings need to be made well in advance by phone. Book early for July, Christmas and Easter to avoid disappointment. Vaccinations? All dogs boarding at Kilbroney Kennels should have an up to date vaccination card. This must be produced prior to your dogs first visit and on subsequent visits when requested. Vaccinations against : Kennel Cough. Your dog may not have had this, if it has not been in kennels before. *Please check with your vet and call us if unsure. Please Do NOT get your dog vaccinated just before its stay. A minimum of 2 weeks is required. The other regular vaccinations required are : Parvovirus, Distemper, Hepatitis and Leptospirosis. Bedding and food for your dog? These are supplied in the cost. If you wish to supply your own food or a special diet then this is fine. A toy or home comfort may help settle your dog. Social Media .... if you have time ? A review on Google Maps, Facebook or any search engine site really is helpful and we do appreciate it. 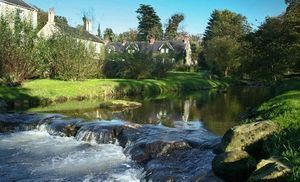 The Fairy Glen in Rostrevor at the entrance to Kilbroney Park. Kilbroney Kennels for your dogs holiday " Home from Home" in 2019. We are located at the heart of Newry & Mourne.